I love Jamberry Nails because the maintenance is so much better than painting my nails and the cost is so much better than going to a salon. My fingers last 2 weeks and my toes last about a month and a half. I love the maintenance on them. The picture above were my nails for St. Patrick's Day. I love them because I love mint AND gold. So it was the perfect combination. Check out my review on Jamberry Nails. Another side note is I never touch the nail wraps with my fingers because the grease from my fingers will make them lift faster. So I use tweezers. On the post I linked above I also show you how to shape them to fit your nail perfectly. If you haven't tried them, then now is a great time to try them! If you buy 3 sheets then you get the 4th free. It is quite the deal. They are so fun and are a great way to pretty your finger and toe nails throughout the summer. I have to mention that I am not being paid to write this post and I am not receiving free product. 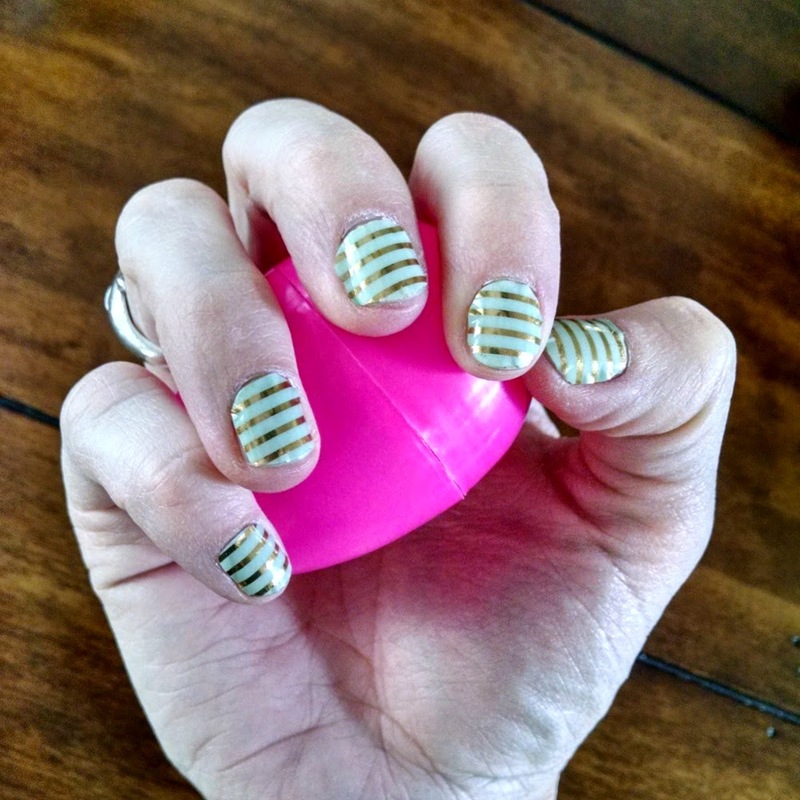 I just love Jamberry Nails and feel that they simplify my life greatly. Since this blog is all about living a simple, yet happy life I think it is appropriate. Now on a completely different note...how did you do on your March goals? Do you feel happier with the workplace? Do you feel like you succeeded in some of your goals or at least got closer? I hope you did. April is all about strengthening your bonds with your kids. The giveaway that goes with the challenge in April is a really, really good one. So make sure to come back and check it out tomorrow. You won't want to miss it. The challenge will help you feel better about being a good mom, because I know each and every one of you are fantastic moms.